The first Cross Canada Lecture Tour of the Canadian Geotechnical Society was presented in 1965. The Fall 2017 lecture tour will be the 100th Cross Canada Lecture Tour. The purpose of the lecture tour is to provide CGS members and other geotechnical professionals an opportunity to attend high quality technical presentations by prominent Canadian and international geotechnical professionals. Typically spring and fall tours are scheduled each year. Each tour consists of presentations to 10 to 12 CGS sections across Canada. Customarily one lecturer per year is a well-known Canadian CGS member and the other is a well-known international individual in the geotechnical field. 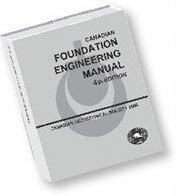 Travel is funded by the Canadian Foundation for Geotechnique. Videos of the past Cross Canada Lecture Tours, from 2010 onward, are available on the CGS member section of this web site. Click here if you are a CGS member. Click here to see the most current tour schedule. Click here to see a listing of past Cross Canada Lecture Tour lecturers.